You must have played a lot of games like Animal Jam before. So, you’d know that these fantastic MMOs are a great source of entertainment as they offer freedom of exploration, unique characters and customization options along with plenty of room for the gameplay. If you are not familiar with these cool games or you are new to this kind of MMOs and Virtual World experience, you should definitely play Animal Jam. If not Animal Jam, then try out any of these beautiful alternatives of Animal jam and enjoy tons of fun and educational activities. Our Collection of games like Animal Jam strictly follows the same formula as Animal Jam. That’s why these suggested titles would be a great source of entertainment for you. All you got to do is to try them and do let us know if you like them. Wizard 101 is a tremendously immersive Virtual World and RPG experience for the younger audience. The game features a turn-based combat system and some part of it contains Collectible Card play as well. These features help make the game available for almost all of the levels. The game is set in the world of Spiral where everybody is a Wizard or a Witch. As a Wizard or a Witch, your task is to fight off the evil to save the world. The game world is split into many parts and each part contains different environments, quests, objectives, and themes. As a student of Ravenswood Magic School, you must select your league. Once through this part, you can meet NPCs in various parts of the game world and get yourself assigned with a task to complete the quest. With a standard MMO and RPG formula, completing quests, unlocking new worlds, characters, skills, tools, weapons, and learning to master the new spells are among the secondary tasks of the game. 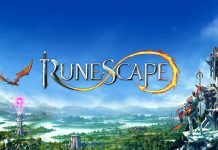 The social element of the game lets you interact with fellow Wizards, make new friends and enjoy your magical Virtual Life. Wizard 101 awards you with gold on every quest completion. You can use this gold to buy and decorate your living spaces in the game. With a Turn-based combat system, Wizard 101 lets you enjoy engaging in PvP and PvE events. In these events, you must defeat the opponents to earn the rewards. All things considered, Wizard 101 is one of the best games like Animal Jam as compared to a lot of other titles of the same genre. Wizard101 is available to play on PC. Second best title among games like Animal Jam is the popular Fishao. 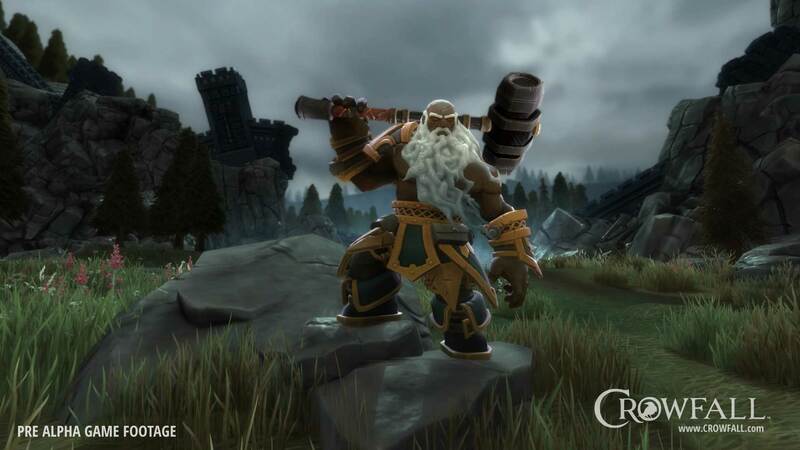 Fishao offers a brilliant combination of Virtual World, MMORPG, and Social elements. The game lets you enjoy Fishing while exploring the beautiful environments. You can also take part in the amazing tournaments and win loads of exciting prizes. You can also join thousands of other online players in the game. Your task is to try and catch over 200 different species of fish. Like Wizard101, Fishao’s game world is divided into several parts. Each part of the game world offers its own unique theme and objectives. The social element of the game allows you to bond with online players make new friends and enjoy your stay in the world of wonders. For every individual player, Fishao offers a different character. These characters are customizable and they have their own qualities and skills. With all the exciting and never ending features, Fishao lets you build and decorate your own living space. You can decorate it with the help of all the available items in the in-game store. The ultimate purpose of the game is to catch fish and fill up your Fishdex. This objective allows you to learn about various types of fish baits, rods, and locations to catch the fish. In tournaments, you can take part in friendly competitions. 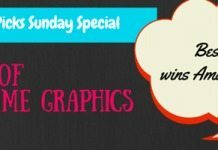 These competitions are set up regularly and are packed with updated content. Winning these competitions awards you with money that you can spend on various in-game things. Furthermore, you can enjoy playing mini-games, completing quests, and hanging around with friends when you are not fishing. All things considered, Fishao is a complete package for all those who love Fishing, virtual worlds, and questing. 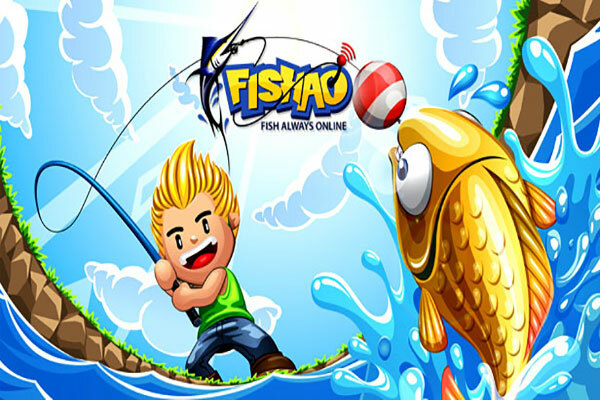 Fishao is available to play online on a PC. ABC Mouse: Early Learning Academy is one marvelous creation among all the games like Animal Jam. This immensely popular MMORPG Virtual world and an educational masterpiece is all about fun. With aims at Preschool learners and Kindergarten kids, ABC Mouse: Early Learning Academy offers a variety of games in the play. These games consist of Math, Music, Reading, Writing, and Science and are a great way to help the kids learn the basics. Just like any other Virtual World game, ABC Mouse lets you select an avatar for your kid. This avatar can later be customized with available options of face type, clothes, body type, etc. With a safe environment, ABC Mouse: Early Learning Academy is all about the kids of a particular age group. No adults and teens are allowed in the game world. It offers safe chat sessions, loads of creative activities, and games for the kids. This fantastic game allows you to enjoy the freedom of exploration and learning at the same time. In the game world, you’ll find all kinds of amazing attractions. These attractions include a Zoo, Pet Park, and Farms that you can own. It lets you build and decorate your own living space as well. This place is termed as a Room in the game. You can customize it by decorating it with all the available items in the game store. With a remarkable amalgamation of Learning, games and all the fun creative activities, ABC Mouse: Early Learning Academy offers a perfectly balanced experience of gameplay. For all the children of ages 2 to 6, this particular title is a brilliant place to be online. 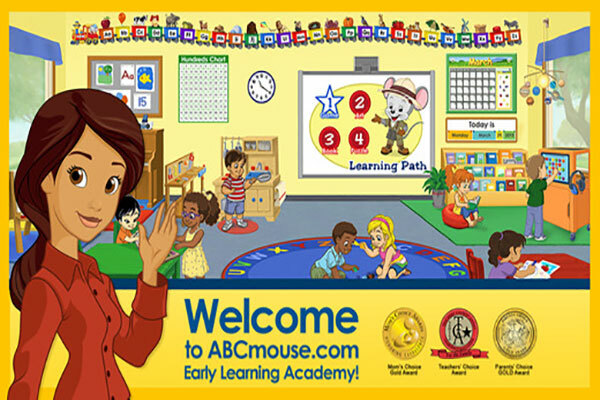 You can play ABC Mouse: Early Learning Academy online on a PC. 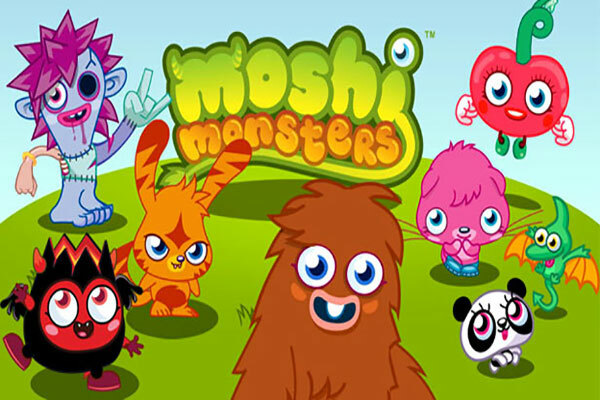 Moshi Monsters is a beautiful Browser-based Virtual World Online title for all the children who love MMO games. Released back in 2007, Moshi Monsters offers a player base of millions and lets you enjoy up to date content. With both Free to play and Paid membership, Moshi Monsters lets you adopt a cute little monster as your pet. 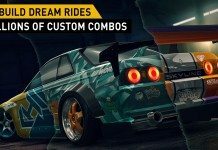 It offers many monster types for you to choose between and enjoy customizing it with all the available options. Once through the initial stages, you are free to explore the game world. Set in the beautiful Monstro City, Moshi Monsters lets you play various games, solve some challenging puzzles, decorate your rooms and enjoy hanging out with friends. These are actually the primary objectives of the game. Completing these objectives lets you earn game currency that you can use to buy stuff and upgrade your character. The room in the game is actually your home. It’s connected to various locations in the game world and you can teleport to any location you want. Just like your character, your house is also customizable. You can move around the furniture, install new paintings or you can change everything in it if you have enough currency. With a very Simple yet enjoyable gameplay, easy controls, beautiful graphics and all the fun activities, Moshi Monsters is one of the most adorable games like Animal Jam. 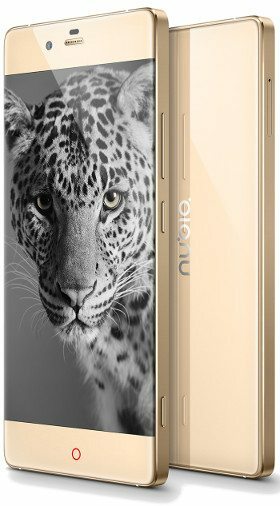 Do give it a try if you love the freedom of exploration and all the fantastic features in it. It’ll definitely entertain you well. Moshi Monsters is available to play Online on PC. 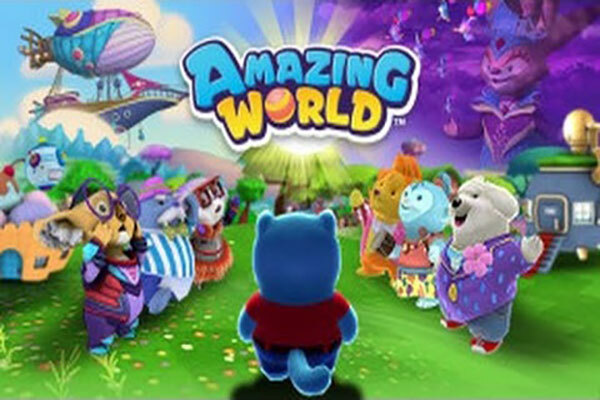 Amazing World is another great title among games like Animal Jam that truly is a wonderful experience of MMO and Virtual World elements. 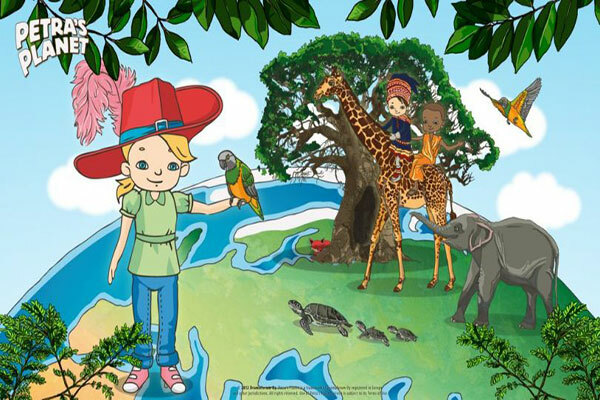 The game aims at the children of ages Six and above and offers a variety of creative activities such as mini-games, exploration, and crafting. It offers a browser-based Online gameplay and this makes the game even more accessible. As you start the game, it lets you select between many characters of Zing, the natives of the game world. These Zings are a mirror reflection of real life animals such as Rabbits, Cows, and Bears. You can select anyone of the three Zing types, Explore the game world, play games and have fun interacting with other online Zings. Amazing World offers a No Violence gameplay in which it tasks you to save the world from the mischievous Nix. Nix are the minions of Queen Vexa, an evil queen who loves to destroy the worlds. As the primary objective, you are tasked to scare the Nix by waving your hands up in the air whenever the Nix attack. This makes the Nix frightened and eventually, they run away. This No Violence approach makes the gameplay more attractive to the younger audience. When not engaged with Nix, you can take part in other fun activities as well. These activities include Gardening, Cooking, Shopping, Treasure Hunting, Fishing, etc. These fun activities help you earn skill points and the game currency. The currency can be used to buy items such as clothes, tools, and gadgets from the in-game store. With a remarkably quest oriented gameplay, beautiful 3D graphics, and freedom of exploration, Amazing World is an enjoyable Virtual World game to play. You can play Amazing World Online on PC. On this list of games like Animal Jam, Club Penguin is probably the most adorable and exciting one. It offers a brilliant combination of Social and MMO virtual World experience. Aimed at the audience of ages between 4 and 16, Club Penguin is Disney’s best take on the genre. As the name suggests, Club Penguin is all about little Penguins and their fun virtual lives. The game allows you to select and customize a beautiful penguin avatar. Once done with the makeup, you can start exploring the game world situated at the far reaches of North Pole. 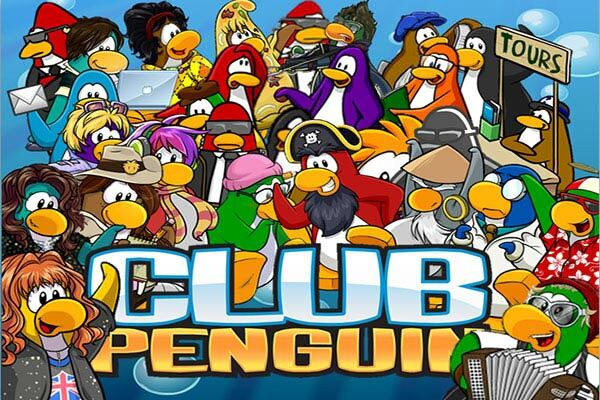 You can play mini-games, interact with other online Penguins, participate in various events and enjoy opening and manage your own Penguin Club. The game world of Club Penguin is split into various parts. These parts are called the Rooms. You are tasked to build and decorate your room, invite your friendly penguins and enjoy partying day and night. Multiple locations are included in the game such as Beaches, Dance Clubs, Arcades, Ice Rinks, Pet Shops, and Plazas where you can build you rooms. When you are not playing games or exploring the world, you can head back to your igloo, relax while listening to music and enjoy your cozy life. The Quest focused gameplay rewards you with Virtual Coins. You can use these coins to buy stuff from the in-game store and enjoy customizing your avatar and room. With an addictive gameplay, beautiful visuals, and enhanced mechanics Club Penguin is available to play Online on PC. Petra’s Planet takes this amazing genre to further heights of excitements as it includes Educational elements as well. With an extremely addictive and rewarding nature, Petra’s Planet focuses on adventures and quests. It offers an educational Virtual World and MMO experience that lets the children enjoy gaming and learning at the same time. The Mix-up of multiple cultures, chatting, crafting and exploration make the game even more interesting. You can select anyone of the six main characters and customize them as per your likings. Once done with that, you can start exploring the world and interacting with the environment and other online players. The game world of Petra’s Planet is divided into several environments and locations. These locations are based upon real life countries such as Sri Lanka, Semi Land, Jordan, and Senegal. Each of these locations has its own quests, activities, and objectives. These activities, quests, and objectives can be completed for the in game rewards of game currency and skill points. This earned currency helps you buy costumes, toys, clothes, and furniture for your home. The unique Social element allows you to connect with other online players. You can hang out with like-minded people, make new friends and play games together. With all sorts of fun things that you can do in Petra’s Planet, it literally feels like being part of the game world. So are you ready to get into a world filled with all kinds of fun things? Well, you better be because Petra’s Planet is one of the most addictive games like Animal Jam to play. Petra’s Planet is playable in a browser Online on PC. Franktown Rocks is another brilliant take on the popular MMO and Virtual World genre. Developed by Bridgestone Media, it aims at the kids of ages 8 to 12 years. The game focuses on exploration and allows you to create and customize your online Avatar. You can customize your avatar by using all the available customization options at the startup. Once through this part, you can explore Franktown, play games with other players and enjoy your virtual life. 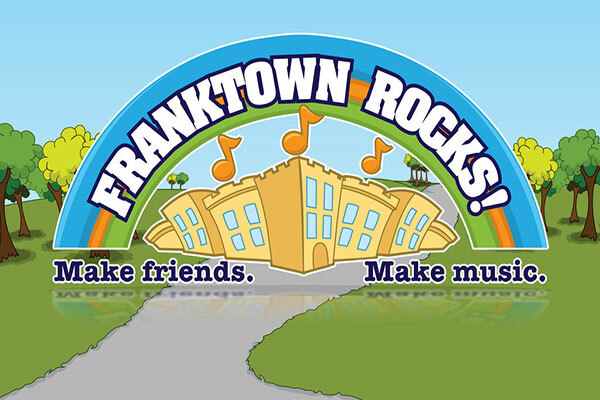 With a gameplay focused at Quests, Franktown Rocks lets you create music, watch videos, drive cars, craft items, build a home, buy and pet a virtual animal. The Customization element lets you decorate your home, invite your friends over and enjoy partying. Another fantastic feature of the game is the unique Social element. This cool feature allows you to interact with other online players, hang out with like-minded people, make friends from different regions of the world and enjoy playing games and solving puzzles together. Franktown Rocks is totally free to play with bundles of content and the freedom of exploration. With a huge community and millions of online players, Franktown Rocks is one of the best games like Animal Jam to enjoy. With a free to play browser-based MMOG experience, Franktown Rocks should definitely be on your list of games like Animal Jam. It’s fun playing. Franktown Rocks is available Online for PC play. Pirate101 is the most advanced and upgrades form of Wizard101 and Animal jam. This brilliant game is all about living the life of a pirate in a virtual world. 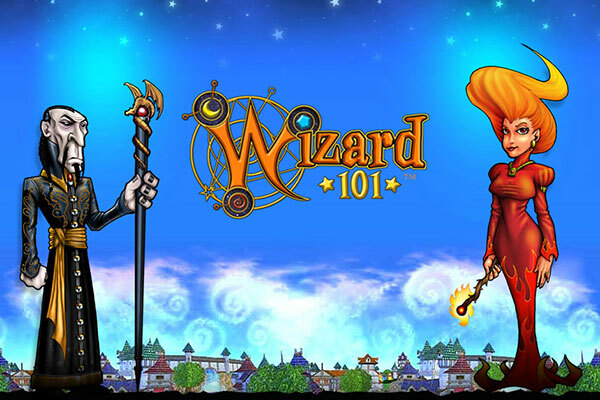 It draws heavy inspiration from the popular Wizard101 and offers a similar gameplay. Combining both the elements of Animal Jam and Wizard101, it allows you to select and customize your pirate Avatar. Once you are through this period, you can explore the game world, interact with other online pirates, make friends and enjoy winning various battles. Pirate101 offers an innovative gameplay in which it splits the game world into many parts. These parts of the world are connected by many stormgates. These gates work as portals to reach out to the other parts of the game world. With Quests, Enemies, and Battles focused gameplay, Pirate101 features gameplay a lot resembling the one in Wizard101 and Animal Jam combined. The game offers five unique classes for characters. These characters are packed up with their own unique abilities, skill, Strength, weaknesses, personalities and play styles. It offers a turn-based combat system that makes it more accessible and enjoyable at the same time. With both single and multiplayer support, Pirate101 is equally fun whether you play it alone or with your friends. With regular content updates, loads of upgrades, beautiful visual details, and rewarding nature, Pirate101 is one amazing title among games like Animal Jam niche. Do try it out. 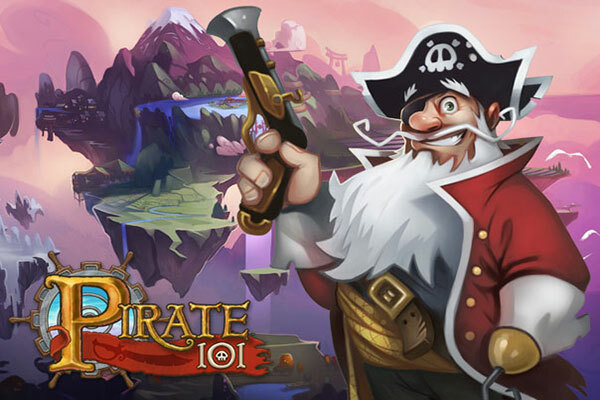 Pirate101 is available to play on PC and Mac platforms. Last Virtual World MMORPG title on the list of games like Animal Jam is the vibrant Bin Weevils. This fantastic game is a Bafta Kids Award Winner and offers a remarkably addictive gameplay. 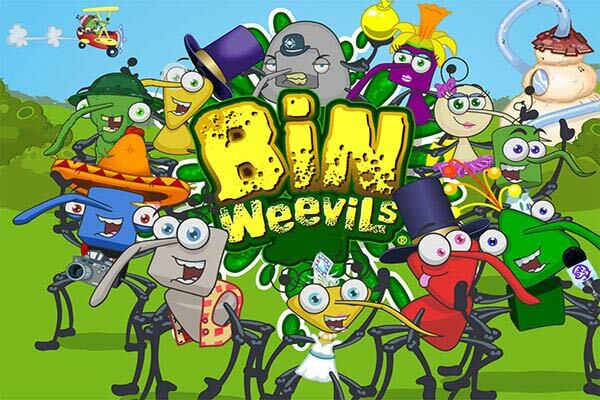 Set in a Bin World, Bin Weevils lets you be part of the world in the guise of Bin Animals known as Weevils. Just like most of the games of this particular genre, Bin Weevils lets you set up your own online avatar. You can customize this avatar with all the available options and start exploring the world. The secondary objectives of the game include decorating your home, interacting with other online Weevils and making friends with them. Bin Weevils lets you enjoy building a lot of structures in the game including Houses, Cinemas, Schools and enjoy being an efficient citizen of the Weevil world. With a number of fun games, puzzles, and all the addictive activities in the game, Bin Weevils offers a marvelous experience of multiple elements. Packed with an immersive gameplay, beautiful 3D graphics, unique characters and a number of fun quests, Bin Weevils is no doubt one of the best games like Animal Jam to play and enjoy. For all those who love MMORPGs with virtual world aesthetics, Bin Weevils would definitely be a great entertainer. Bin Weevils is available to play Online in a browser on PC.